Yes, I’ve been getting into colored pencil more – I do want to keep getting better at it, and I am (mostly) enjoying the challenge. 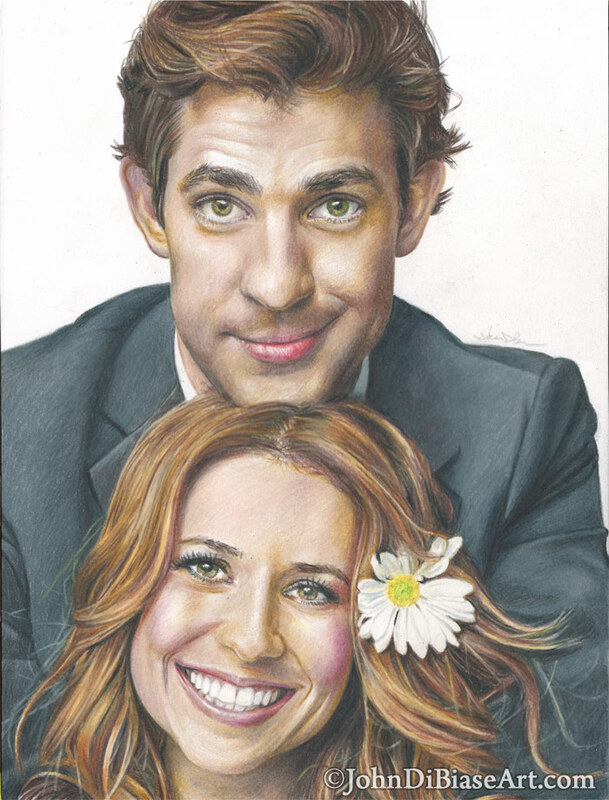 The Office just might be my all-time favorite TV show, and I just love Jim & Pam. Who wouldn’t want a love like theirs? And who hasn’t had that unrequited crush? The source photo for this was a magazine shoot they did when the characters – spoiler alert! – get married.